A short one today. This issue of Shade does all the things I've noted in the last couple of days. It still feels like I'm reading a serialized film. In fact, the more I keep this in mind, the more I can see this story as a movie. 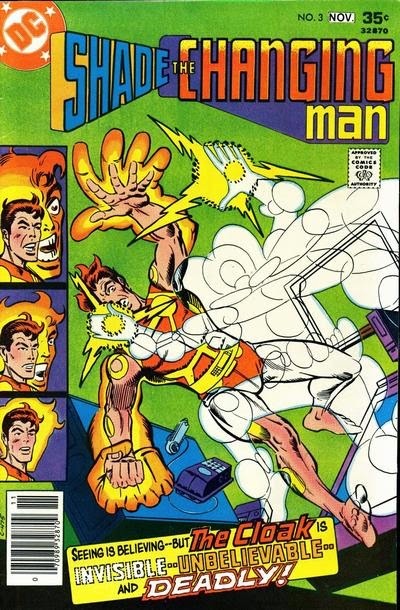 It would probably be pretty badass, as long as one could get Ditko to do all the design work. 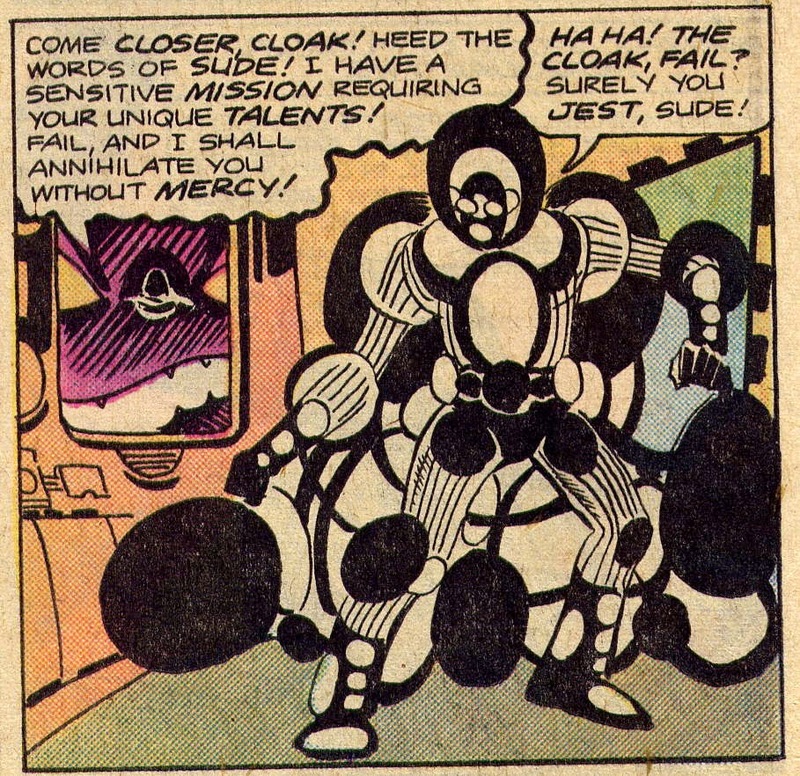 My favourite bit of this issue is the introduction on page 11 of "The Cloak," the crazy villain of the issue. The Cloak laughs each time he is gifted with dialogue, even in his thoughts, which really makes me feel like he's the Joker of Meta. But here's a cool thing: See how he's depicted on the cover? This looks a bit like a crude sketch of a human figure, something roughed out before the details are added. This is what his invisibility power looks like. So if he turns invisible by losing his pencilled in details, and he's in a dimension called "Meta," is something really cool and metafictional happening here? Maybe. That's got to be on of the coolest character designs I've ever seen. I'm sad that he spends so much of the issue invisible, because I'd love to see more angles and poses. But I live in hope, as, unlike the villains of the first two issues, The Cloak is not "negated" by the issue's end. Hopefully there'll be more of him next time.